Representing private equity funds, hospitals, surgery centers, home, health agencies, physician practices and specialized service providers, myriad of players in the healthcare industry benefit from Amanda Jester’s ability to structure and execute sophisticated transactions. Amanda’s deal experience is complemented by her ability to help navigate clients through the regulatory and compliance issues that often arise in complex corporate transactions. 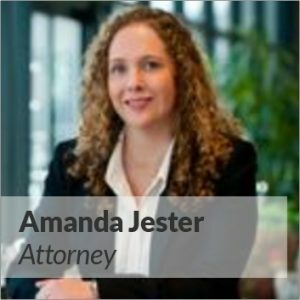 An integral member of Waller’s expansive national healthcare department, Amanda brought her cutting edge skill-set to the firm in 2013 to guide investors, owners and operators in mergers, acquisitions, dispositions, joint ventures, contracting and compliance issues. Whether she is representing private equity funds investing in national dental service organizations or advising healthcare portfolio companies as they examine strategic investment opportunities, Amanda is a trusted partner for the rapidly growing private equity and venture capital backed presence in today’s healthcare market.